I have repeatedly tried to sell Twitter to my fellow administrators, but it is an uphill battle. Mention the words “social media, blogging, or Twitter” and it seems they either want to race on to the next topic, or their eyes glaze over and I’m fairly sure they’re not hearing what I’m saying. I’ve been tweeting for almost three years now, and I am continually amazed by what it allows me to do. For those of you who might be trying to convince your principal or other administrators about the usefulness of Twitter, here’s some things that I’ve found useful with the micro-blogging tool during the past year. 1. I’ve connected with other educators across the world. Ten years ago, I wouldn’t have been able to so easily connect with an administrator in New Zealand or Germany. I have been able to exchange ideas with teachers and administrators in British Columbia, Korea, and India. I have been able to discuss merit pay, school vouchers, and other policy issues with state leaders. Twitter gives users, and especially administrators, the ability to connect world-wide and to engage in the global conversation about education. 2. I’ve been able to engage in education discussions and conversations with individuals well beyond my own community. For example, through Twitter, I have had post exchanges with Diane Ravitch, author of The Death and Life of the Great American School System. I have had the pleasure to discuss education reform with leaders of state education organizations. Twitter gives administrators the ability to connect with leading experts and scholars in education. 3. 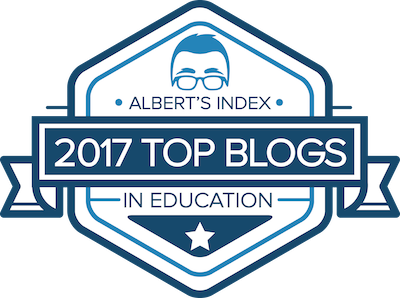 I’ve collected an enormous list of bookmarks and links on all facets of education. Part of the effectiveness of Twitter is getting connected to the right people. As my own PLN has grown, so has the storehouse of resources I’ve been able to gather. Twitter gives me as an administrator an endless stream of resources to help me do my job, and to share with my teachers. 4. My connections to those in education continues to expand. As I get more and more connected through Twitter, the potential for learning more from other educators grows. When a teacher from Australia recently messaged me with an idea on how she deals with student engagement in her classroom, I was able to help one of my own teachers with that same struggle. Twitter transforms users into global learners, and makes school administrators globally connected administrators. 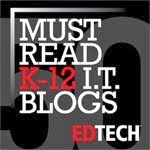 For those technologists out there trying to convince administrators to get connected, you might sum up my four advantages to using Twitter this way: 1) Global connections, 2) Expert Connections, 3) Resource Connections, and 4) Organic Connections. Keep trying to get those administrators connected. Once they see the above advantages, they’ll be sold. Awesome, Awesome! Thank you for posting this - I'm working on the same thing in my district - your post will help tremendously. Your posting is timely. As a principal myself, I have discovered the power of twitter. You have summed up my experiences nicely. I was at meeting of principals 3 days ago and invited my colleagues to join the twitter conversation. I hope have some takers on my invitation! Glad you found it helpful. Convincing administrators of Twitter's usefulness is half the battle. Once they have that account, we have to get them engaged in the global education conversation. Thanks for commenting. Love your succinct list-perfect for sharing. Thank you so much! This is a great list. I've been trying to convince our administrators to use Twitter, too, but I've also experienced an uphill battle. Many of them admit it can be useful, but they either don't have the time or the drive to actually use it. I think part of the issue with getting administrators involved with using Twitter is to get them engaged in it use first. That's why I did the follow-up post this one. I became engaged in using Twitter actually by accident myself. I had a Twitter account but rarely did anything with it. I was sitting at a table at a conference reading a book, and decided to Tweet a couple of quotes I found engaging. Immediately I received responses to that quote and a conversation started. That was the beginning of my engagement with Twitter. In order to get administrators using Twitter, we have to go beyond workshops where they set up Twitter accounts. We have to find ways to move them to becoming users. That's what I was hoping to get across with both of these posts. I would say this same principle applies to any new technology tool. 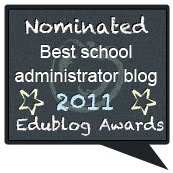 Why Should School Administrators Blog?